Maritime Spatial Planning (MSP) arose at the beginning of the millennium as a response to the historical failure to protect the marine environment, because of increased competition for marine space and to utilise the opportunities for sustainable economic growth based on marine resources. Recently blue growth has become a long-term strategy for European marine and maritime sectors, and it is highlighted in the EU Strategy for the Baltic Sea Region. While improving the environmental status is a key priority, conflicts between economic sectors need to be addressed, especially with the introduction of new activities in the Baltic Sea (e.g. offshore energy production). Finding synergies between sectors could facilitate economic activities while ensuring the sustainable use of maritime space and resources. In July 2014, the EU Directive on MSP that all member states establish and implement Maritime Spatial Plans was launched. These plans should focus on sustainable development and ecological sustainability. The minimum requirements are that consideration must be given to land– sea interaction and integration with other planning systems (e.g. coastal planning). The member states should also work for broad stakeholder involvement and co-operation between countries. A number of EU projects conducted pilot studies concerning MSP in the Baltic Sea (e.g. BaltSeaPlan, PartiSEApate and Plan Bothnia), which developed institutional capacity, and tacit and expert knowledge. By launching a call for projects focusing on cross-border solutions in MSP, the Directorate-General for Maritime Affairs and Fisheries (DG Mare) offered funding for key actors to co-operate in this matter. In March 2015, Baltic SCOPE got the green light to work towards coherent and cross-border solutions in Baltic Maritime Spatial Plans during the period March 2014–March 2016. The project brings together planning authorities responsible for MSP from Denmark, Sweden, Estonia, Latvia, Poland and Germany in two case studies: South West Baltic and Central Baltic (see map). The work on the case studies focuses on the transboundary issues in four sectors/topics: shipping, fishing, energy and environment. 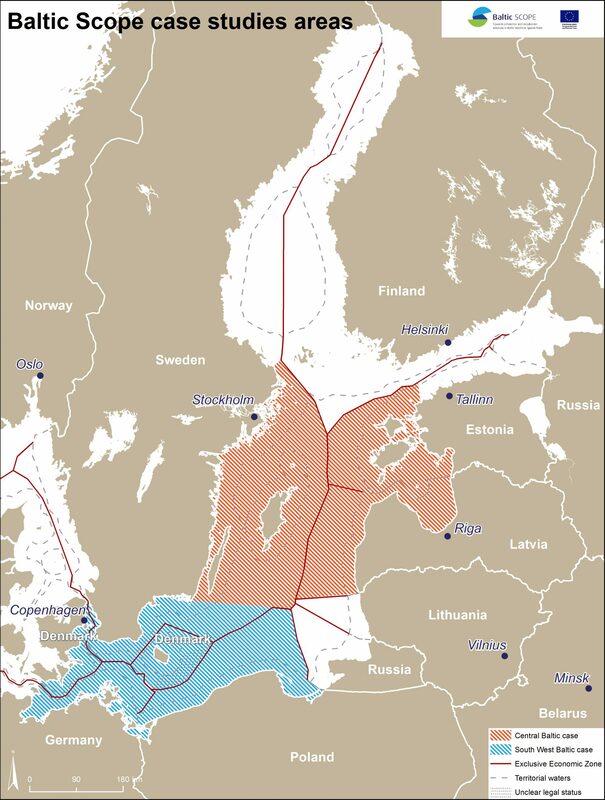 Nordregio´s role in Baltic SCOPE is twofold. On the one hand, we contribute our expertise in land-based planning and cross-border co-operation, provide socio-economic data and make maps. In addition, we are in charge of the evaluation and monitoring framework. However, the main role of Nordregio is to observe the processes of planning and thematic meetings organised in the case study areas throughout the duration of the project and to derive lessons learned. These in turn may support maritime spatial planners in the Baltic Sea Region and other maritime areas who manage cross-border issues, leading to a common understanding, and ultimately to sustainable solutions.